Africa’s youngest billionaire and former member of parliament have been kidnapped by unidentified gunmen from Colosseum hotel in Dar es Salaam on Thursday morning. According to Regional Police Commander Lazaro Mambosasa, 43-year-old Mohammed Dewji was seized outside a hotel gym where he goes for his routine morning workout during the early hours. According to an Uber driver who witnessed the kidnapping, the masked gunmen fired shots to terrify people before whisking away the victim to a waiting car. “I was about to drop my passenger at the hotel when suddenly I saw four masked individuals standing close to the hotel. They fired one bullet in the air [and] all the hotel security guards ran away,” he said. 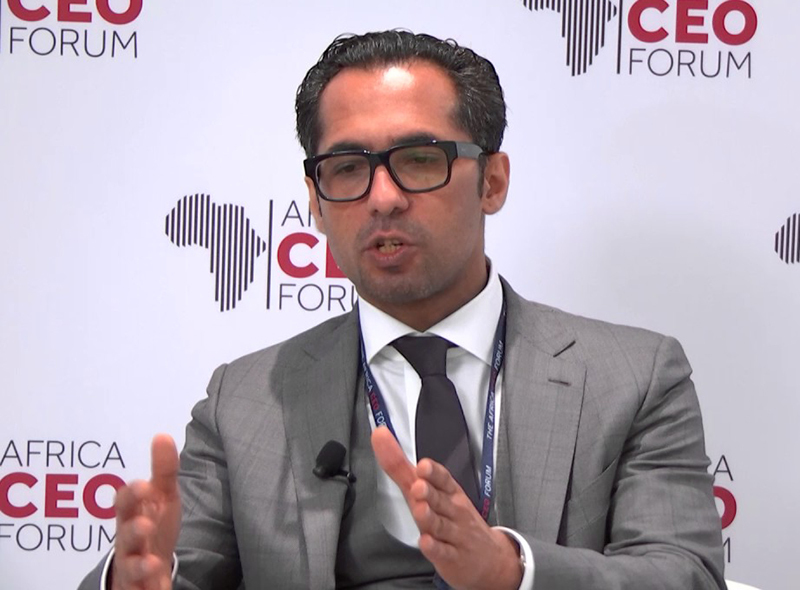 Mohammed Dewji, the owner and president of the multi-billion-dollar corporation, Mohammed Enterprises Tanzania Ltd (METL Group), which operates in about 10 countries across sectors ranging from Agriculture to transport, energy to financial services and real estate to food. According to Forbes magazine, he has a net worth of $1.5 billion and described him as Tanzania’s only billionaire. Dewji signed a pledge to donate half of his fortune for philanthropic causes. Law enforcement personnel around Tanzania have been put on high alert in the massive hunt for the abductors. Dar es Salaam police chief, Lazaro Mambosasa, said that a search was under way for the kidnappers and Mr. Dewji, and police officers across Tanzania were on high alert. Three people have been arrested in connection with the incident and are being questioned, and two of the abductors are thought to have been white, Mr. Mambosasa also said, according to local media. The regional governor, Paul Makonda, informed the media such kidnapping is rare, and an investigation is ongoing to find the kidnappers and determine the motive. He said police are looking for suspects and had already made certain arrests. Tanzania has experienced violent attacks and abductions of opposition politicians and government personnel, but this kidnapping is a one-of-a-kind. Mohammed Dewji’s kidnapping has appeared as an enormous shock for the country. Dar es Salaam special zone commander Lazaro Mambosasa said police have tightened security at all border points and airports to ensure that abductors don’t sneak out of the country. He addressed the public to report any relevant information related the kidnapping and the eyewitness, including the Uber driver and hotel guard, were being questioned to gain lead about this case. A primary challenge for law enforcement is the lack of accurate intelligence and evidence to identify and arrest the abductors and locate Dewji safely. Law Enforcement agencies are under relentless pressure from the government to produce positive results and it becomes more essential when the target of criminals is renown businessman. When vital evidence/intelligence is missing, no connection between the kidnapper and victim can be related, the current investigative tools fail to provide an impeccably accurate and swift intelligence and leads. Mohammed Dewji is one of the key players in private sector-led development of Tanzania today, well known for being a leader in local employment and philanthropist acts. A significant step to solve such a mysterious case without lack of essential physical evidence is through accurate intelligence and leads from witnesses and suspects. The finest source to gain accurate intelligence is the Human Brain. Given that some of the suspects have been apprehended along with witness testimonies are sufficient for one technology to generate much needed intelligence in this case. iCognative by Brainwave Science is one such technology that can very well help crack this case open. iCognative technology harnesses the power of brainwaves to deliver over 99% accurate results in any case where some investigation has been carried out. With over 85% applicability this revolutionary technology developed by scientists and technologists at Brainwave Science virtually leaves no room for errors because of its system driven algorithms and easy to use operational application development. To top it all it is safe and non-invasive and respects human rights. If iCognative by Brainwave Science seems too good to be true, it very well may because it is nothing short of science fiction, minus the fiction part. It is the power of science and technology that makes this proven technology virtually infallible. iCognative is the only technology that can play a pivotal role in positive outcome of this complex case and safe return of Dewji. With advanced iCognative on the side of Tanzania law enforcement, it will only be a matter of time before such cases including others could be resolved within a matter of days.